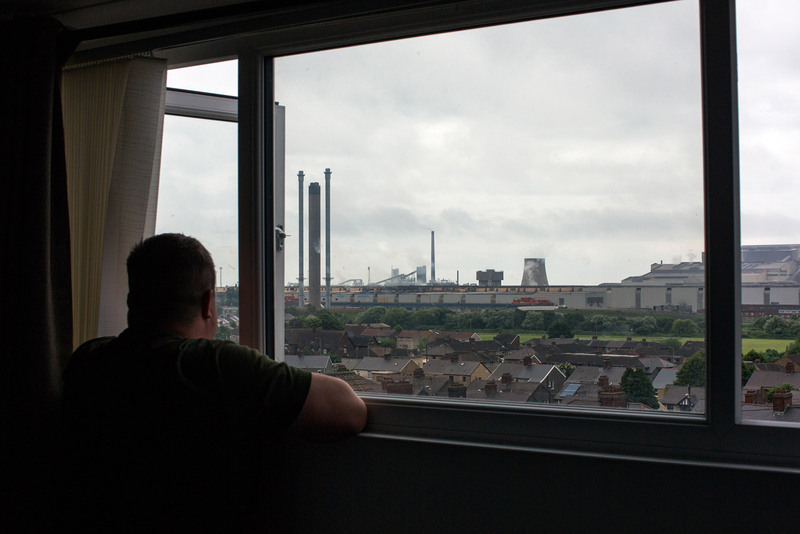 Port Talbot, Wales — Plumes of smoke rise from the pipes of Port Talbot’s steelworks. 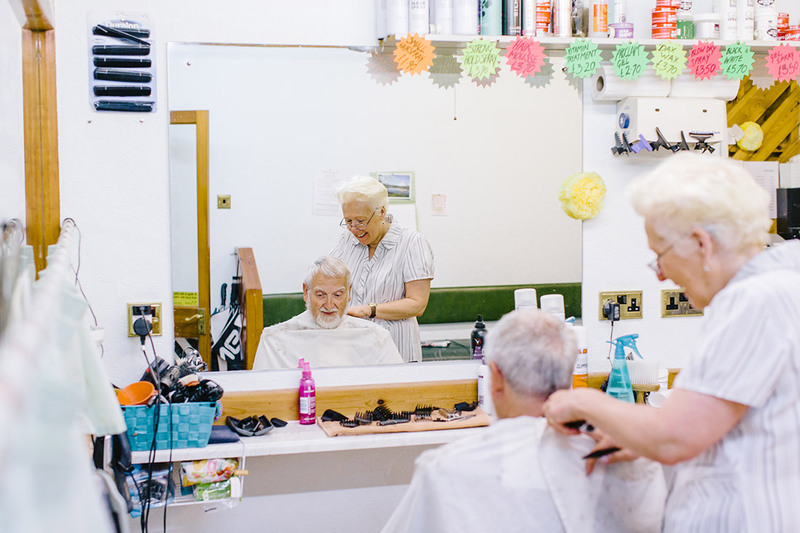 To most, the sprawling structure could be viewed as an eyesore, but to people in this South Wales town it’s the heart of their community, pumping life and jobs into every business and home. Without it, they say, the town would not exist. Britain’s mining and steel industries are in decline, and the once-prosperous South Wales valleys resemble the American rust belt, with their abandoned factories, boarded up shops, empty cafes and little reason for young people to remain. When Britain votes on June 8, people from this region will have the survival of their towns in mind. The problem is, many here don’t see a political choice to champion their cause. Wayne Thomas has worked at the Tata steelworks for 21 years and says he is now looking for a leader like Donald Trump. 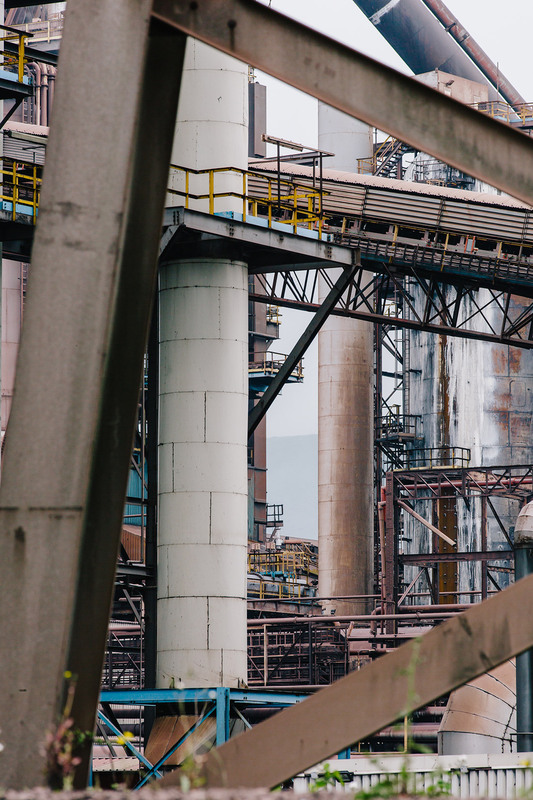 The steelworks have long been at the center of Port Talbot’s economy but are now struggling to compete with Chinese factories. “It doesn’t matter who’s in power, they don’t do what they say,” says 45-year-old Wayne Thomas, who has been at the steelworks for 21 years. Port Talbot’s steelworks, now owned by Indian multinational Tata, has gone through round after round of job cuts. In the late 1960s, it employed 20,000 people; today, just 3,500 people work there permanently, struggling to compete with cheap Chinese steel. Traditionally, the South Wales steel belt was one of the most loyal bastions of the UK’s left-wing Labour Party. Wales as a whole has voted in a Labour majority at every election since the party’s inception in 1900. Edris Alan Harris, 76, worked at the Tata steelworks for 47 years. “I voted for Brexit because of immigration,” he says. Like the steel industry, Labour’s popularity has been in decline in Wales since Tony Blair’s landslide win in 1997. A poll in April suggested that Theresa May’s Conservative Party could take a majority of seats in Wales for the first time, though more recent polls have seen Labour swing back into the lead. Either way, Wales is a key election battleground. 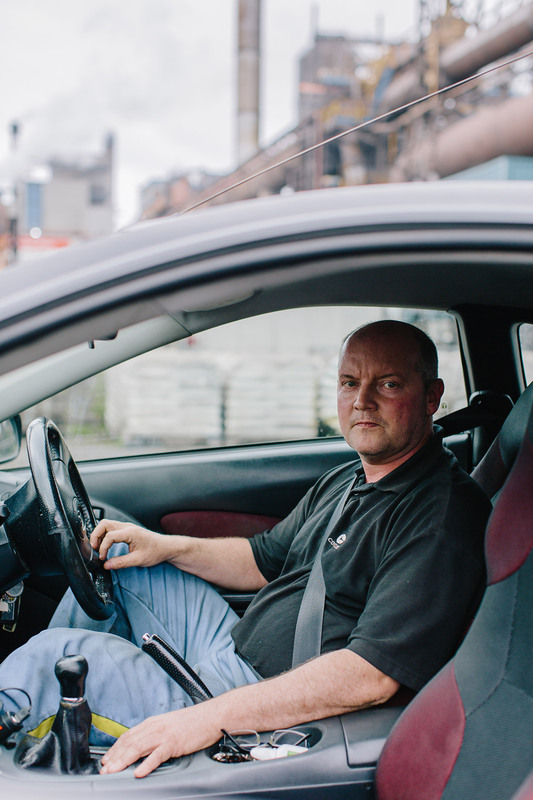 Port Talbot worker Thomas is deeply frustrated with Labour, which leads the devolved Welsh Assembly. But he plans to stick with the party; he comes from a long line of union men, and Labour is in his blood. But garage manager David Prosser, 48, says he has given up on the left-leaning party whose leader, Jeremy Corbyn, he sees as weak. He plans to vote for the right-leaning Conservatives instead. “Theresa May, she’s got backbone. No one else does,” he says. 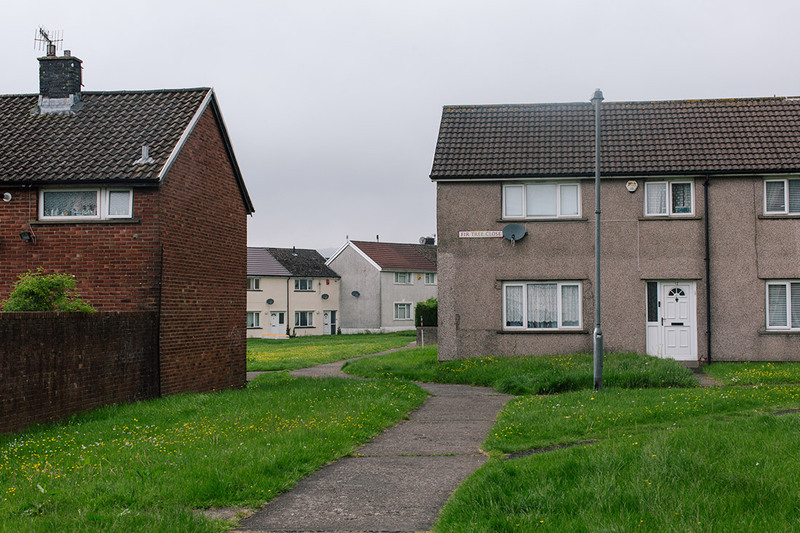 The government-funded Gurnos housing estate in Merthyr Tydfil has been portrayed by the media as a den of welfare swindling. Port Talbot is not the most desperate of the steel belt towns — only a few of the shops are boarded up, and unemployment is not too far above the national average. But it is in decline, and its residents know all too well what happens when industries fall and thousands of jobs are axed. The town of Merthyr Tydfil, at the foot of the picturesque Brecon Beacons mountain range, was the center of the world’s steel and iron production in the 18th and 19th centuries, but its last ironworks closed in 1919; coal mining too has come and gone. A recent YouGov poll showed health and the economy are among the top election issues across the country. In towns like Merthyr, these concerns are pronounced. 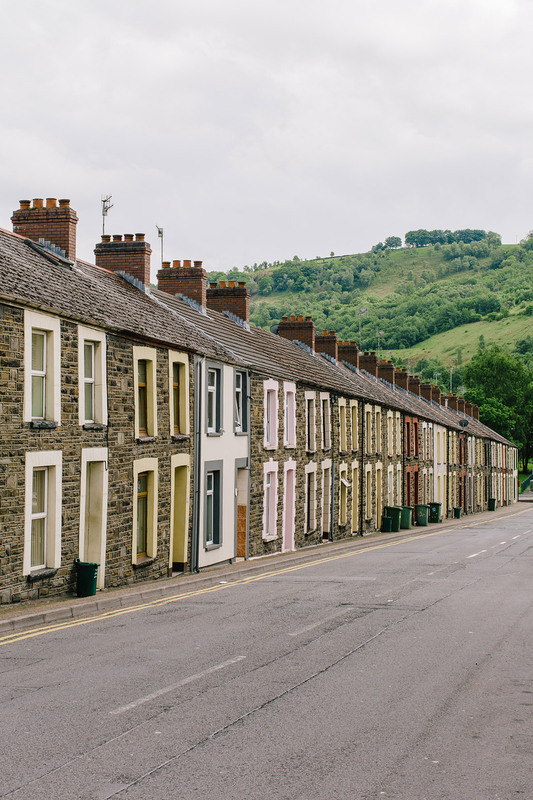 A quarter of households here are jobless, compared with 15% across Britain, and Merthyr is one of the most welfare-dependent boroughs in the nation. 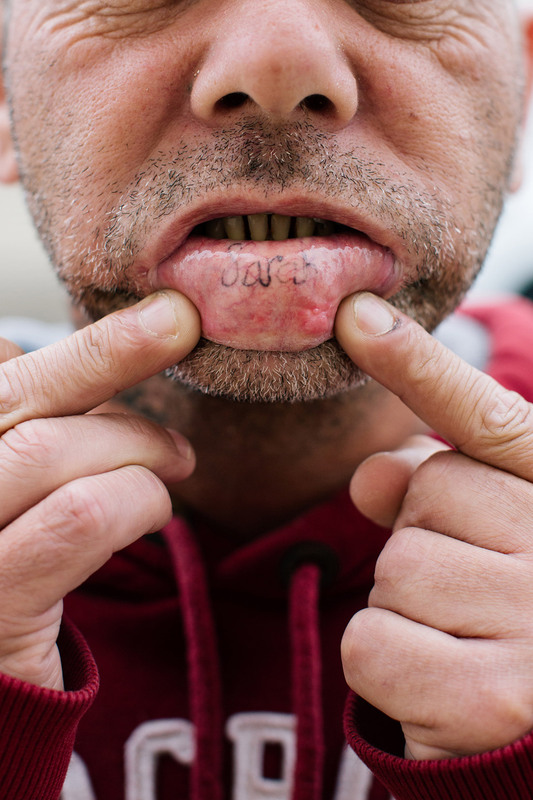 Phillip Bailey, 34, shows off a tattoo of his girlfriend’s name on his inner lip. He is unemployed and has lost faith in politicians. 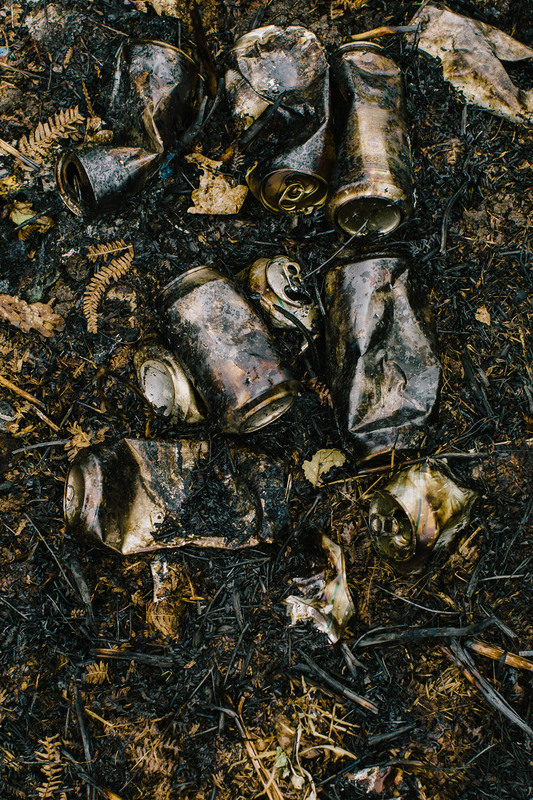 Aluminum cans litter the ground in Merthyr Tydfil, a borough that once led the world in iron and steel-making. 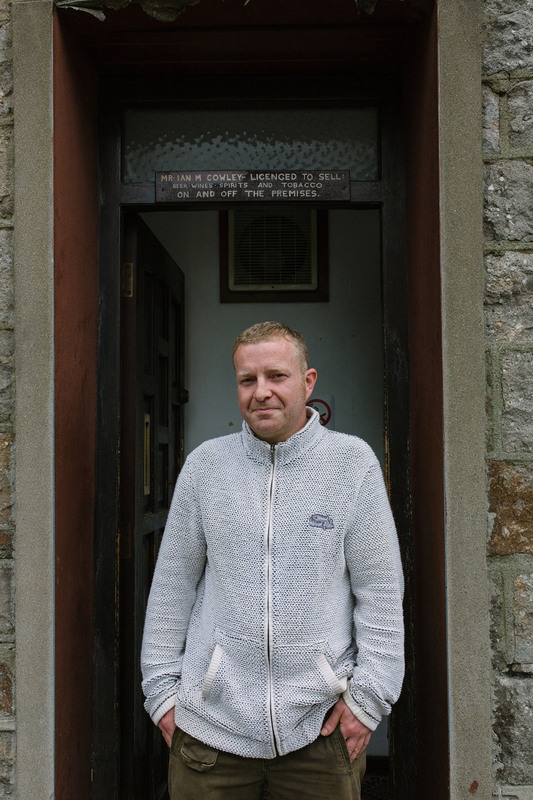 On a government-funded housing estate called the Gurnos, men and women in their 20s wander the streets in tracksuits, sipping on cans of beer. Young girls swing on a rusty playground, screaming profanities at each other. British media has portrayed the Gurnos as a den of alcoholism, drug-taking and welfare swindling, dubbed “sick-note city” for its record-breaking use of health benefits. But people here are friendlier than reports suggest, and there is community spirit. Front doors and cars are adorned with colorful rosettes, part of a fundraising campaign to help a young girl from Merthyr get cancer treatment in the US. A man in his 20s cycles past and stops to chat, explaining that hope left the Gurnos a long time ago. 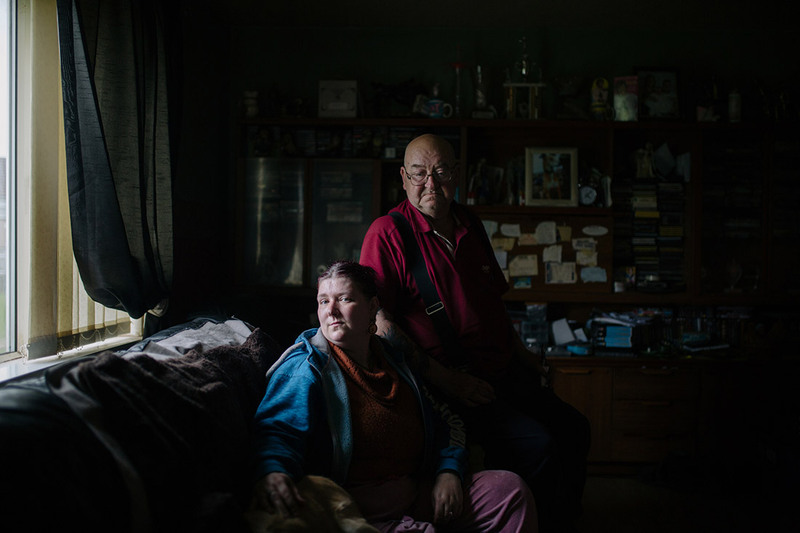 Suzanne Jenkins, left, and her father, William John Jenkins, live in the Gurnos housing estate. Suzanne lost her leg in an accident 15 years ago. In a ramshackle living room in a house on the estate sits Suzanne Jenkins, 37. She lost her right leg after she was run over by a drunk driver at the age of 21, leaving her in a wheelchair. Jenkins is unable to work or get by without care from her parents, William John and Barbara, both of whom are in poor health. Suzanne complains that public services and opportunities for the disabled here are woeful, but she still hasn’t decided who to vote for. She says she has voted before, but can’t remember the name of the party. “They promise they’re going to do this and do that, but when the time comes, half the stuff they promised doesn’t happen,” she says. When asked her opinion of the Prime Minister, she responds: “I haven’t seen him to be honest, so I don’t know.” She is unaware the current prime minister is a woman. Sian Benallick, 59, is a hairdresser in Bridgend who plans to vote for the Conservative Party because she thinks Wales needs change. 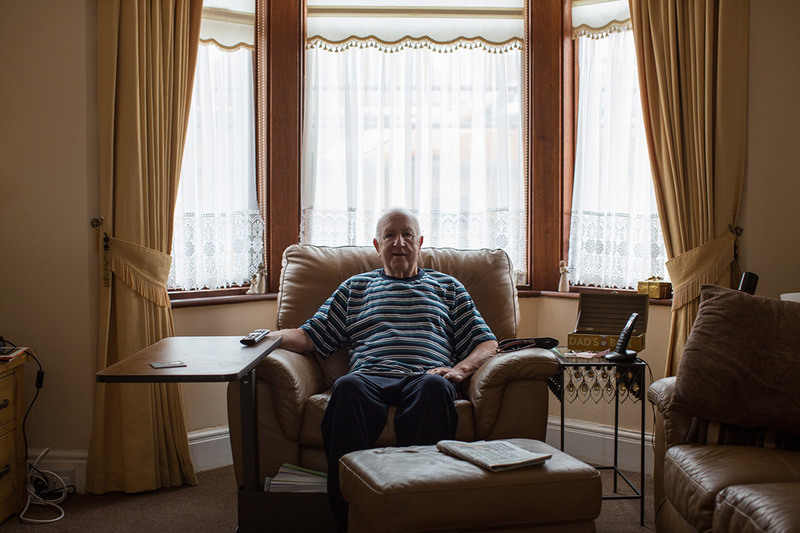 In Bridgend, east of Port Talbot, Sandra Jones is only too aware of who’s who in politics — she spent countless hours on the phone to her local lawmaker, the Welsh health minister, and the National Health Service (NHS) while waiting more than two years for knee surgery. “They don't seem to care,” says Jones. “They don't care there’s somebody at the other end of the phone at 2 o’clock in the morning because you’ve been up all night in pain. They don’t care about how you’re going to pay your bills,” she says, her voice shaking and her eyes welling up. The NHS in Wales has missed its waiting time targets for more than a decade. Health is the responsibility of the Labour-led Welsh Assembly, prompting the Conservatives to point the finger at them. But Labour says it simply isn’t getting enough funding from the central (Conservative) government. 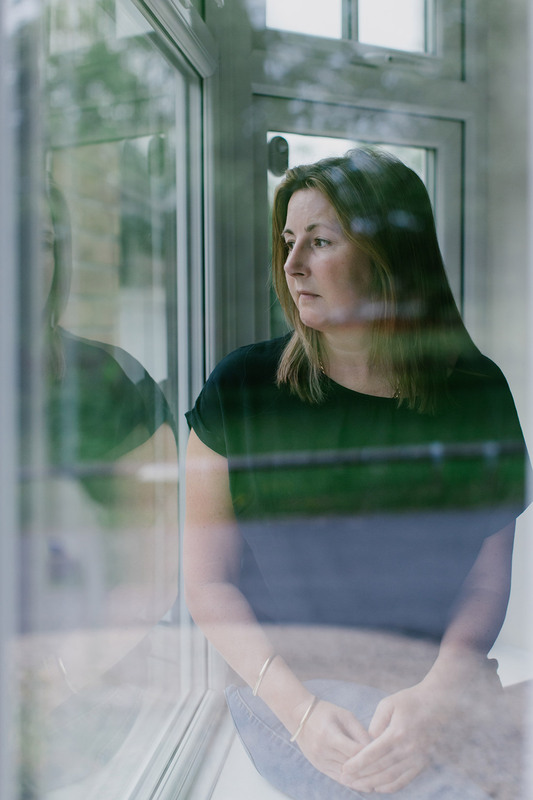 Jones, a single mother, believes delays to her operation made her condition worse. She has had to quit her job and is practically housebound, on heavy doses of morphine to cope with the pain. She says she has no faith in political parties to fix the NHS. Sandra Jones waited more than two years for a knee operation and now doubts any party can fix the National Health Service. A row of Bridgend homes. Prime Minister Theresa May visited Bridgend early in the general election campaign. Bridgend, too, is showing signs of rust with the decline of the steel and coal industries. At an indoor market, half the stalls are empty. A woman sits at a cafe’s plastic table. She is the cafe’s owner — and the only one there. “Bridgend is dead,” she proclaims. Steven Evans, 21, is desperately seeking work. He wants someone or something to breathe new life into the local economy, but says he won’t vote. For the past four years, Evans has taken training courses in retail, warehouse work and forklift driving, only to be told each time that there are no jobs for him. 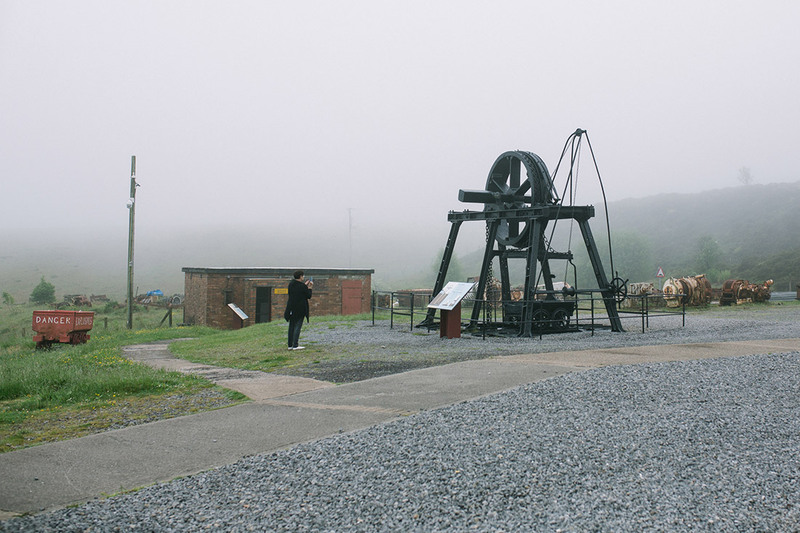 This coal mine in Pontypool was active for 100 years before being turned into the Big Pit National Coal Museum in 1983. In the US some rust belt cities have managed to turn things around: Pittsburgh has nurtured a fledgling tech industry in the midst of industrial relics. But that reinvention doesn’t appear to be happening in Wales. South Wales’ towns were traditionally built around plants run by a single employer. Men typically went down the coal mines, or to the steelworks or the factory, while women worked in the home, historian Chris Evans from South Wales University says. Some towns are getting creative with their abandoned facilities. Mark Thompson outside a pub in Brynmawr. “I’m gonna go Conservative because the people have voted Brexit, so let’s get it done,” he said. 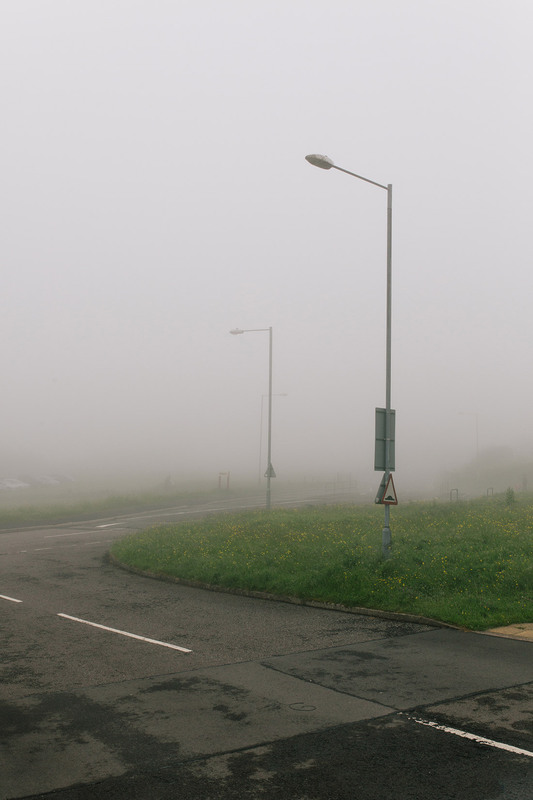 Mist conceals the lamp posts near Brynmawr, a market town now in decline following the end of coal. In Port Talbot, the National Theatre Wales is staging a play about the plight of the steelworkers, using a defunct industrial estate as its backdrop. In Pontypool, east of Merthyr, a coal pit that closed in 1980 has been converted into the Big Pit National Coal Museum, where visitors can walk through the underground mine to learn about Wales’ bygone industry. Wayne Cooper, 57, is one of the guides here. He worked the mines for 15 years before they started closing around him. “This work is a lot different, but that’s just the way life is. You go with the flow,” he said. Asked whom he would vote for, and what could be done to bring life back to the southern valleys, he laughed.